“I had always wanted one,” he said in an 1986 interview, “but they were too expensive. 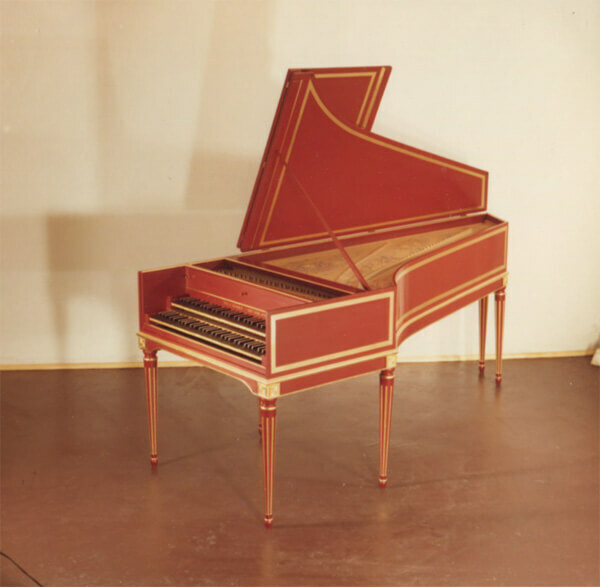 It was during the height of a do-it-yourself craze and a German by the name of Wolfgang ‘Wally’ Zuckermann I met had come up with the blueprints for a do-it-yourself harpsichord kit. So we built one to test his theories. 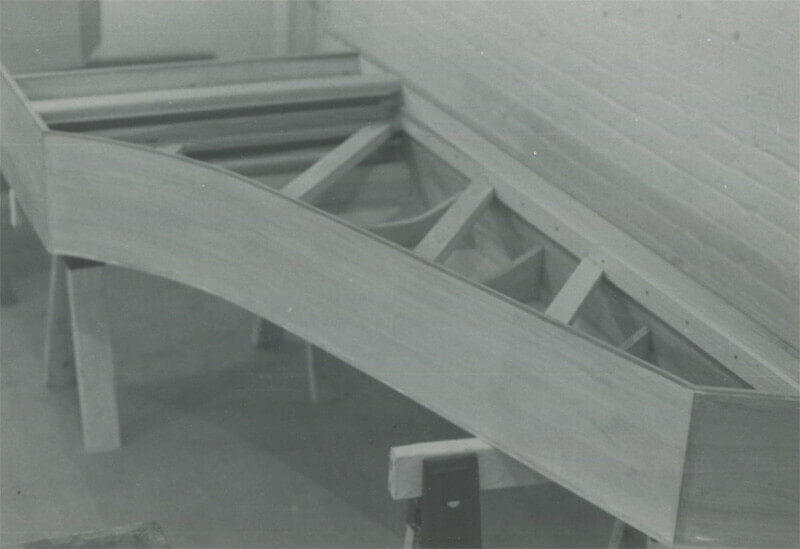 It wasn’t a very good one but it worked, it was my first and I was hooked.” When Zuckermann got out of the kit business, Paul was one of the people he entrusted with his blue prints. 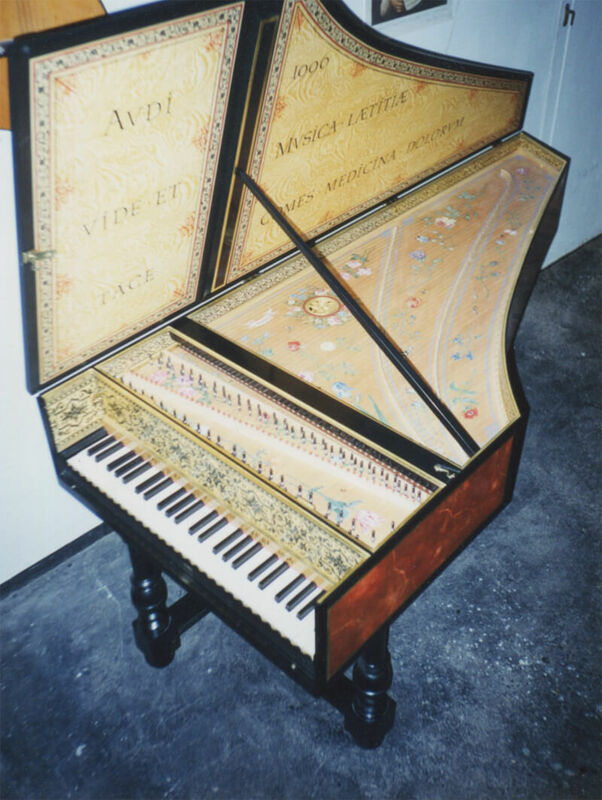 In pursuit of accuracy and authenticy, Paul visited museums and other collections in New York, Antwerp, Brussels, Paris, Edenburgh, Scotland, and England to photograph and study the harpsichord, including the some of the oldest preserved ones found in the Victoria & Albert Museum in London. 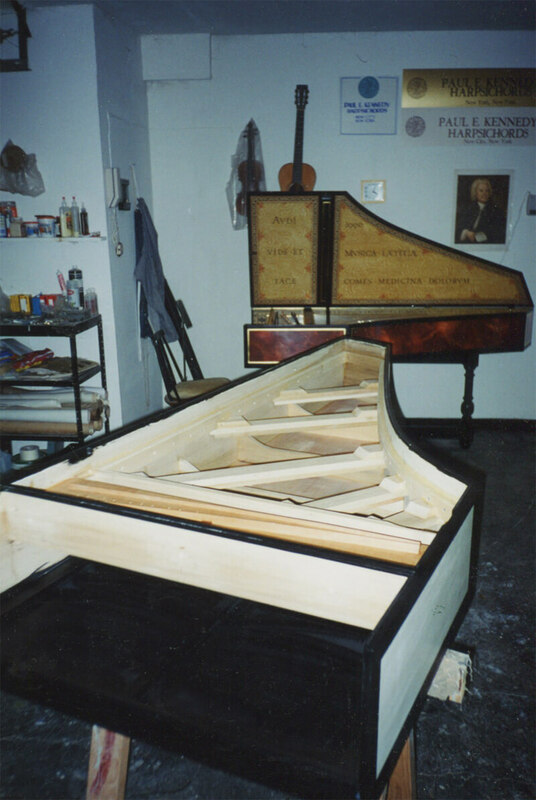 This was a time when some of the collections let Paul take harpsichords apart, measure the parts, and reassemble them. 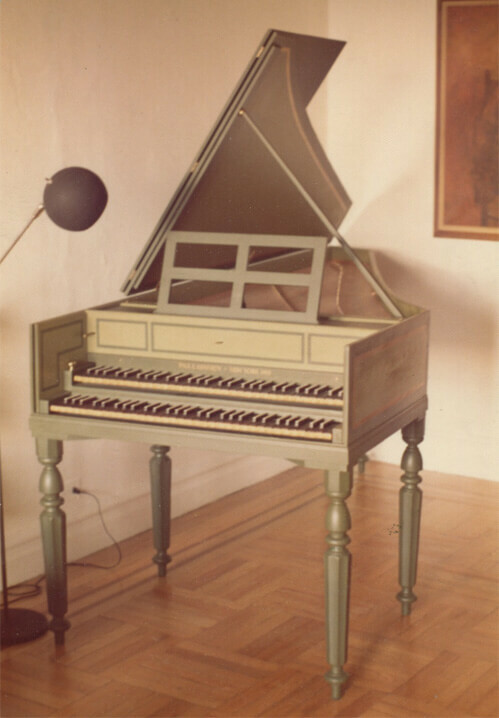 He also sought harpsichord makers and picked a lot of brains: notably Frank Hubbard in Boston, and William Hyman in Hoboken. 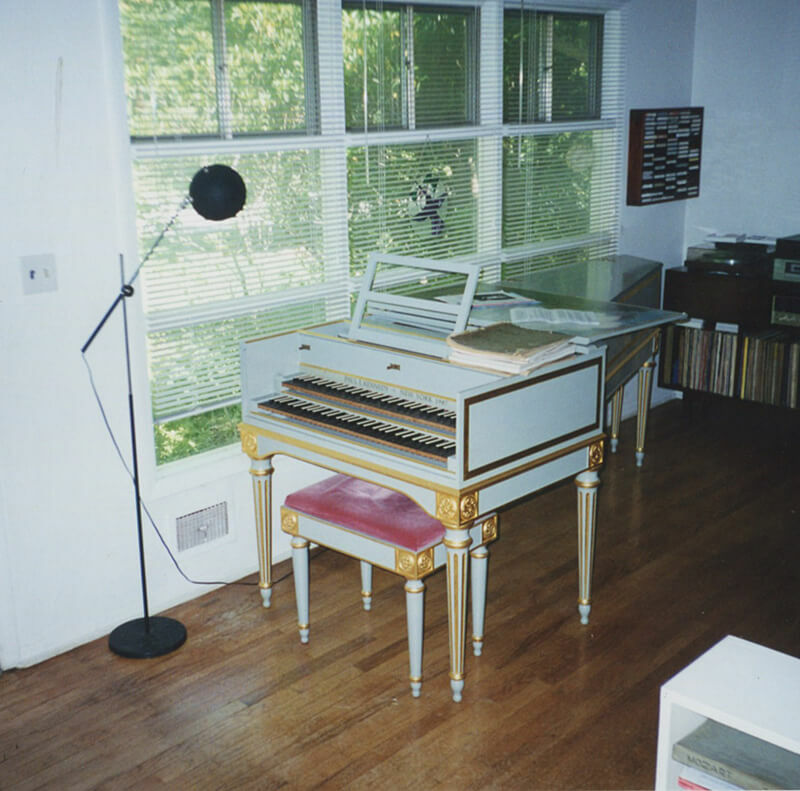 The Harpsichord and Clavichord: An Encyclopedia, edited by American harpsichordist Igor Kipnis (2007), lists Paul as an example of notable twentieth century harpsichord builders working out of the United States. 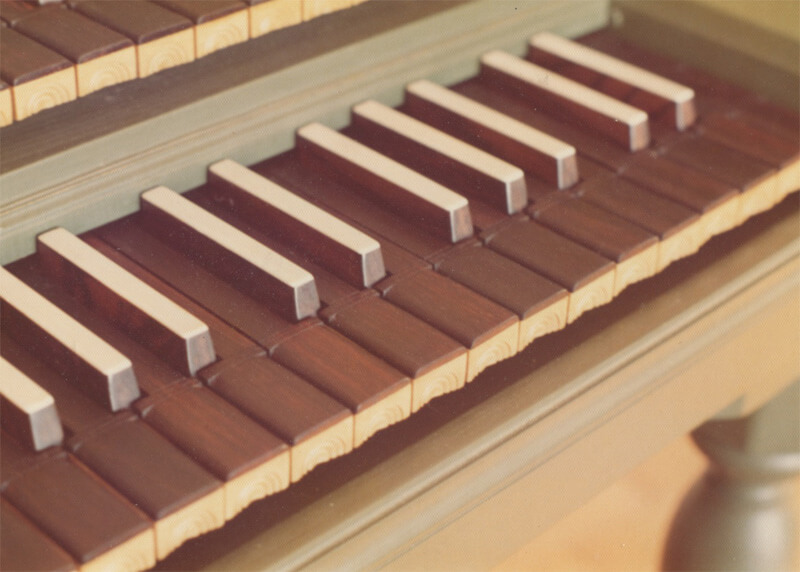 At a Boston Early Music Festival in the early 80s, renowned harpsichordist Trevor Pinnock voted Paul’s instruments to have been the best at the fair. 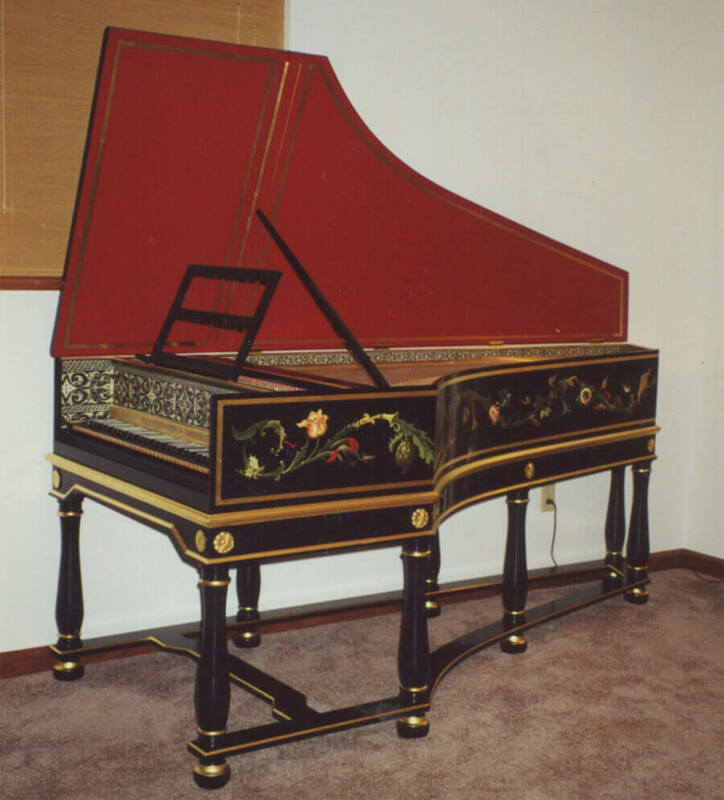 There are four main schools of harpsichord-building: French, English, Flemish, and German, each one presenting recognizable physical characteristics as well as its own distinct sound. 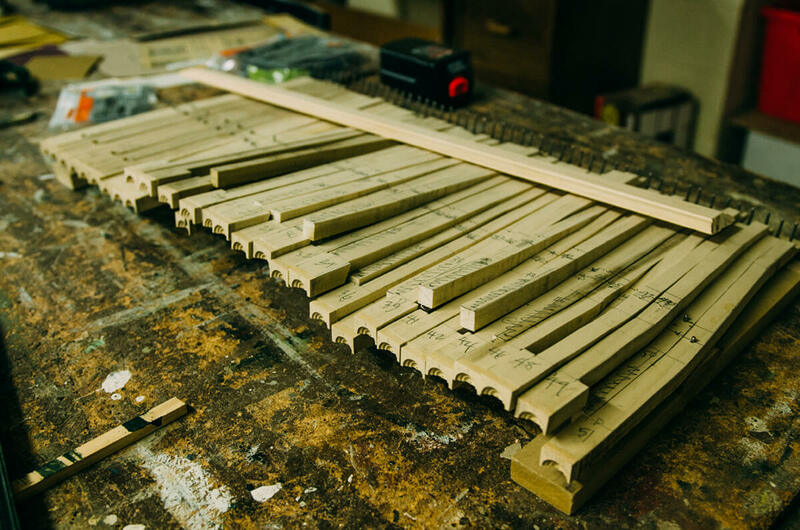 As a high school student Paul built a clavichord inspired by one that his teacher owned. 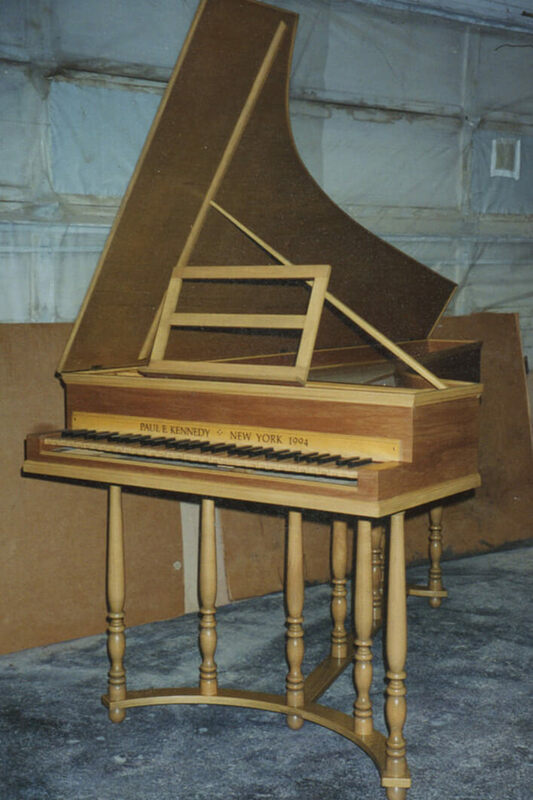 He built two more after college until his interest in instrument-making was rekindled by Zuckermann’s kits, which led to his first test harpsichord; but it was only seven or eight years later that Paul built his second, a proper one informed by his quest for authentic-building. 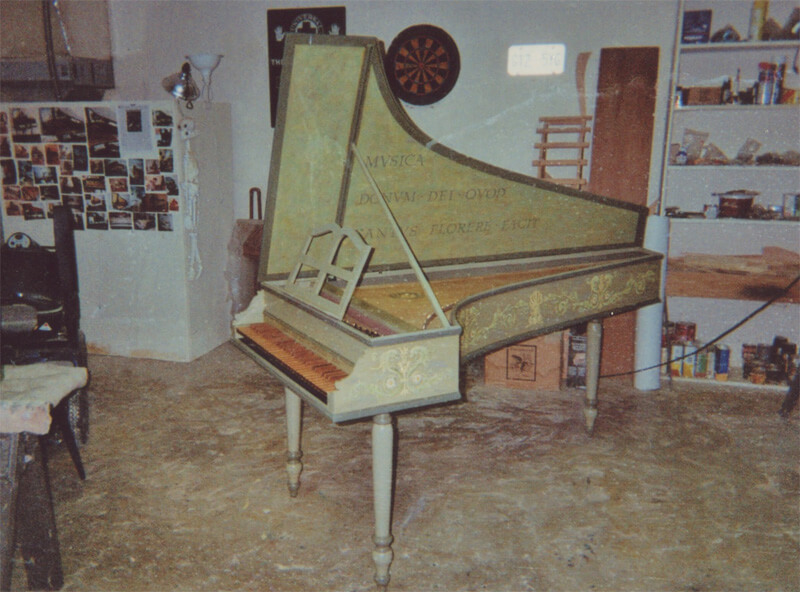 Left: A copy of a circa 1769 double manual harpsichord said to have been made by the great French harpsichord maker, Pascal Taskin, of which he saw an original in Edinburgh, Scotland. Its lid case has been painted in the style of the masters by Paul himself. 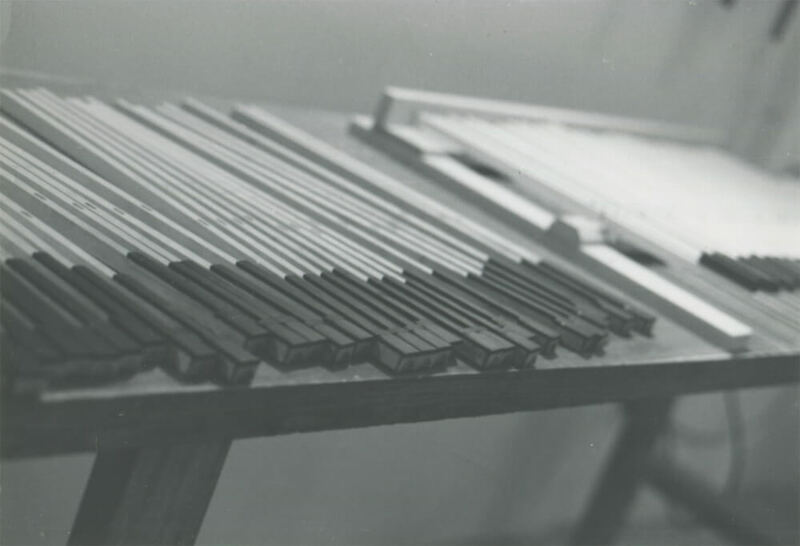 Paul majored in piano and switched to painting when he got his Masters in Fine Arts at Indiana University. 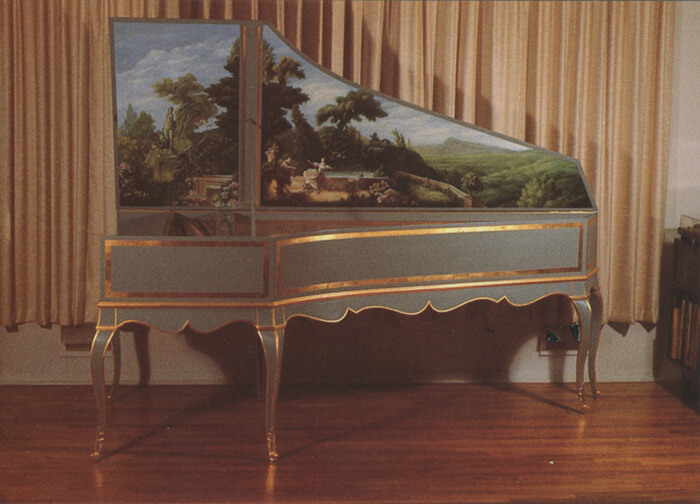 He finishes several of his harpsichords by painting a favorite piece from the style’s era on the lid cover. 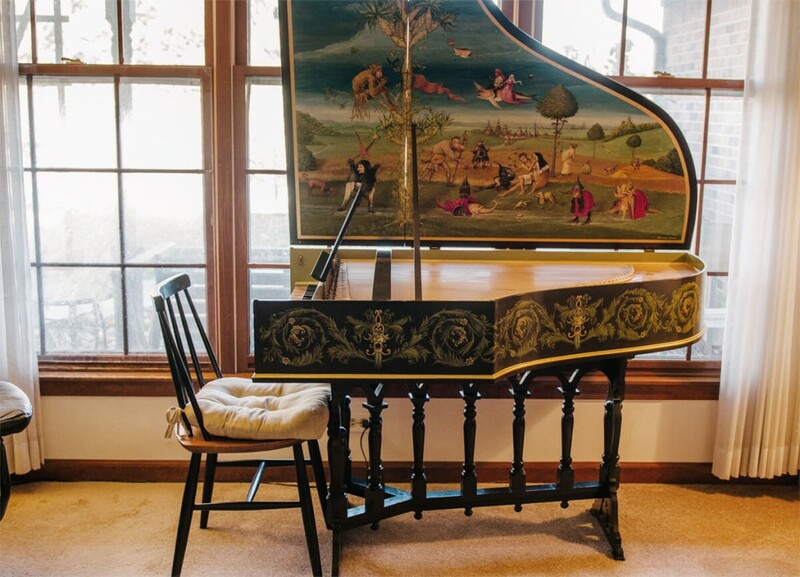 After spending seven to eight months on the woodworking portion of the build, adding a painter’s details is something he looks forward to, and playing the instrument once it’s finished is something he enjoys even more. 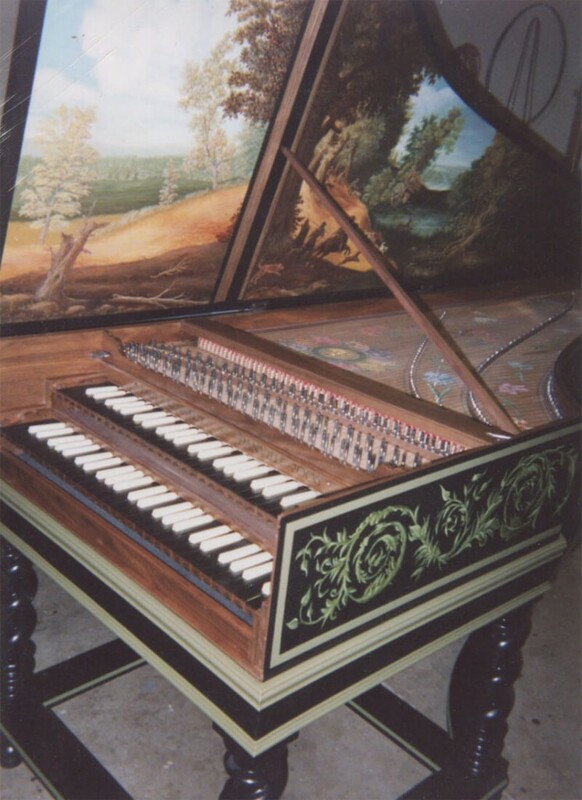 The soundboard is painted with a traditional rose signature (below). 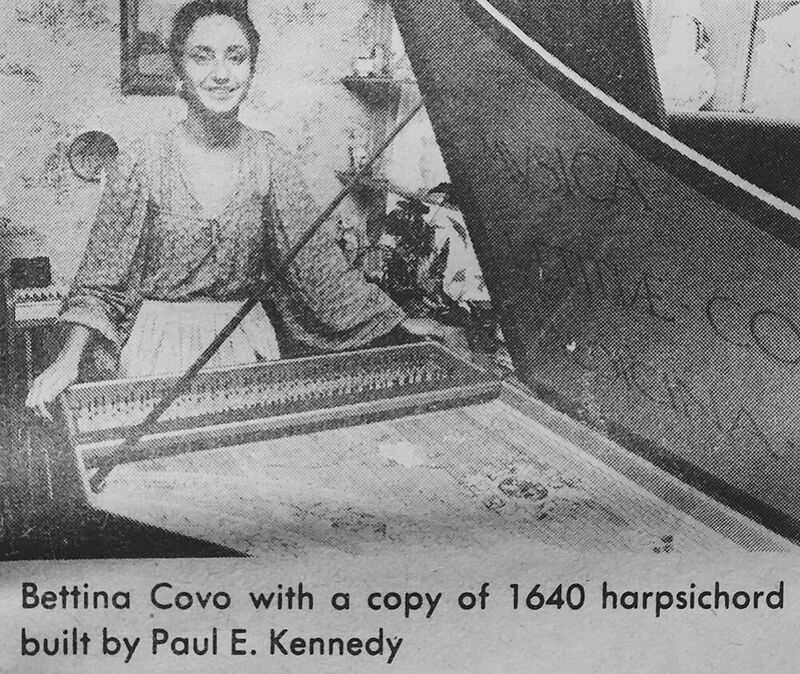 Right: Harpsichordist Bettina Covo posing with Paul’s double-manual instrument that was built for her in 1978. It is based on the style of 18th century master builder Pascal Taskin. The press clipping is in reference to her recital in Rockland County, New York (1980), where Paul was based at the time. She was joined by soprano Jane Eickhkern and flutist Brian Taylor. 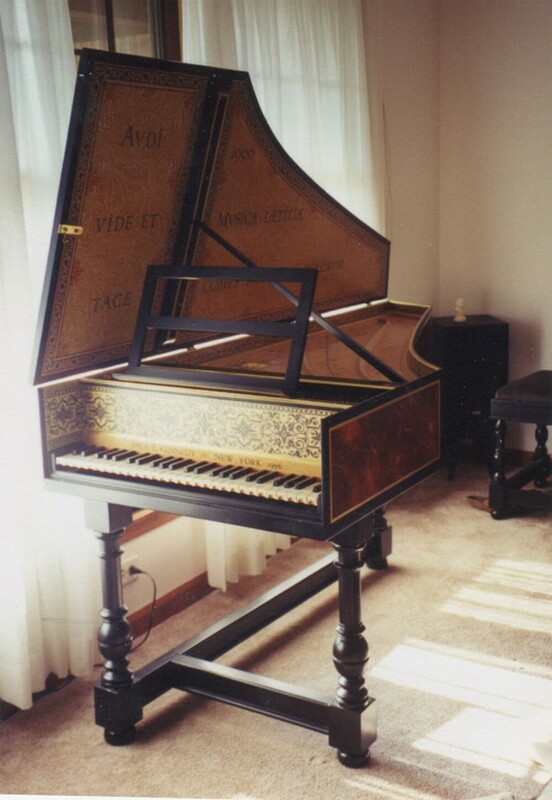 The performance included works by J. S. Bach, Purcell, and Rameau.